While it may not quite be the holy savior of Old Media as some would suggest, the iPad still holds a lot of promise for traditional publishers looking to profit from the switch to digital. The iPad provides publishers with a way to directly monetize their content, while also providing consumers with rich and easily accessible versions of their favorite magazines and newspapers. 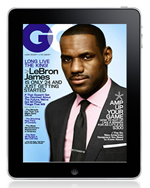 Only a handful of big-name brands have so far made the move over to the iPad (GQ, Wired, Vanity Fair, TIME) and with mixed success. As things currently stand, the biggest complaints from users have been over the initial pricing models. 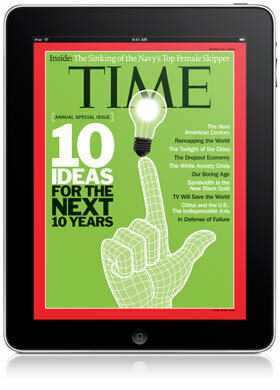 In many cases, the cost of a single digital issue has been upto four or five fold the cost of a physical print edition. 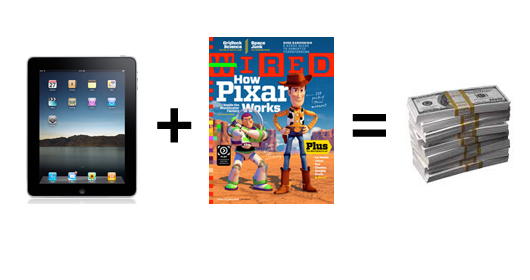 Wired Magazine was released this month to much fan-fare, but people were understandably miffed at the asking price. The June edition of Wired will set you back $5, which is incredible, seeing as you can get a home delivered edition of Wired for less than $1 per issue. The Wired App is cool, but its not 5x as cool. Considering the cost of distribution of a digital edition is essentially zero, it’s damn near impossible to justify a higher price than for print. Wired, Vanity Fair and GQ are all Condé Nast publications, and the price for each of these magazines on the iPad is the same ($4.99/issue). On the other hand, the print subscriptions for all three are just $1/issue (12 months) or even lower at $.84/issue if you opt for a 24 month subscription. You could read just three print issues in a year, use the rest of the subscription for wrapping paper, and still be better off than had you purchased three equivalent iPad issues. TIME Magazine fairs even worse. For a start, being a weekly publication, there is generally less content per issue than a once-monthly magazine. Yet, the asking price is still $4.99 per issue. This appears even more unfathomable when you consider that TIME Magazine offers a print subscription of 56 issues for $20. That’s just $0.35 each. It’s not hard to understand why of the 4000+ customer ratings on iTunes, more than 3000 of them have given TIME a solitary 1/5 stars. It is my hope that publishers will quickly come to their senses and adopt a more sensible pricing model, as it benefits no-one to strangle the life out the new medium before it has taken foot. Apple needs the magazines and newspapers to get on board (dare the iPad become just a big iPod Touch), and the publishers need the iPad to rescue their dwindling circulations. It should be win-win for everyone, but at the moment it’s the customer that’s losing out.